I love this picture of Thomas S Monson as he was sitting in the congregation of the old tabernacle. 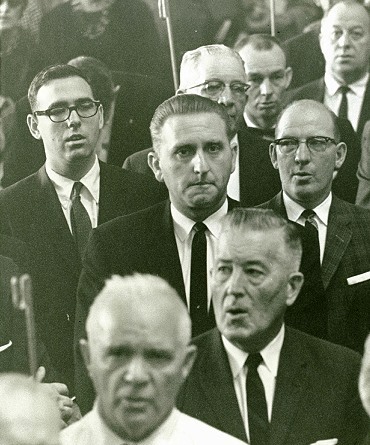 It was taken in 1963 just moments before he would be sustained as a member of the Quorum of the Twelve Apostles and invited to the stand. While others sit unaware and eager for the meeting to start, he feels the heavy responsibility beginning to fall on his shoulders. Fifty-three years later, he continues to keep that pledge.